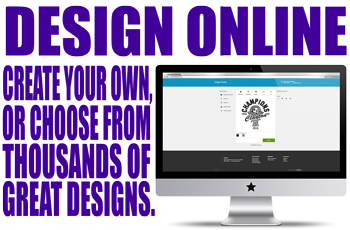 Building a brand for yourself is essential to gain recognition and customer loyalty. Applying our world-class custom heat transfers to your garments and apparel is a great way to start getting your name in front of interested eyes. At 1st Street Graphics, we're helping clients build stronger brands with our custom heat transfers in Minneapolis and St. Paul, MN. When most people think of branding, they think of eternal names, such as McDonald's, Walmart, or Ford, well-branded companies. Even locally, many businesses have successfully branded themselves in their communities, at trade shows, farmers markets, and co-ops. However, branding doesn't have to be eternal. Many businesses are short-term in nature or seasonal, and when your garments and apparel are branded by 1st Street Graphics you will have brilliant and crisp custom heat transfers in Minneapolis, MN. 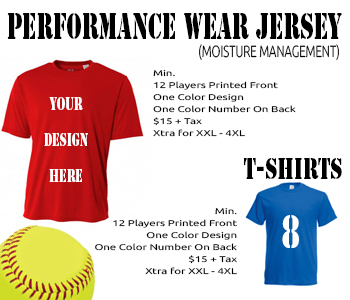 Sports Teams: Get your T-shirts, jerseys, hats, sporting gear, and apparel branded with your team’s name and logo. Get player names and numbers on the front, back, and shoulders of your jerseys. Select font types and sizes to suit your needs. Businesses: You might sell the best product or provide the best service in the world, but if nobody knows about you, how will you pull ahead of your competition? Further, proper branding captures the attention of on-lookers and makes them remember you later. 1st Street Graphics applies long-lasting custom heat transfers in Minneapolis, MN. Our prints stick inside of minds. Promotional: Got a fundraiser coming up? Make sure all your volunteers are dressed for the occasion! By providing a theme for your fundraiser, people will respect your efforts more. They'll be more likely to donate if your volunteers appear to be organized, well-presented, and wearing a professional uniform. It will help householders recognize them easier and remember your organization for longer. Many of our customers are selling at trade shows and local markets. Brand your booth, tents, panels, and everything else to stand out from the crowd and make a lasting impression in the minds of visitors. We understand that our resellers and first-time clients may not understand everything about custom heat transfers. Indeed, there's much to be learned for people with no prior knowledge or experience in screen printing, and that's why we've neatly organized all of our services into easy-to-understand programs that simplify and streamline the retail experience. Clients can choose to have their delivery rushed to them if time is limited. The quality of your prints will not be negatively impacted should you request rush delivery. All of our finished products are crisp and attractive. Our heat transfers can be applied to a large number of surfaces and fabrics. Clients may use their designs and images or work with our art department to make their ideas come to life, and of course, high-resolution images work the best. Shop our garments and apparel online. The promotional products, branded gear, and posters that you need for your next show or event are just a click away.